Do you have customers in your territory that are so annoying, so nasty, or you just know that they will never buy from you and as a result you don’t call on them very often? You’re missing a great opportunity to have fun with these customers and get better at what you do, which is SELL! 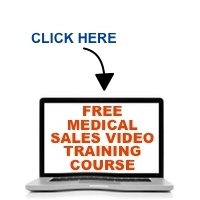 In this episode of The Medical Sales Guru Podcast, medical sales speaker Mace Horoff talks about how you can put these customers to good use to advance the sales in your territory and keep these customers from becoming a problem.